The latest release of the ultimate Christmas character for Poser & DAZ Studio is available singlely for $12.95 or all eleven Toon Santas for only $25. 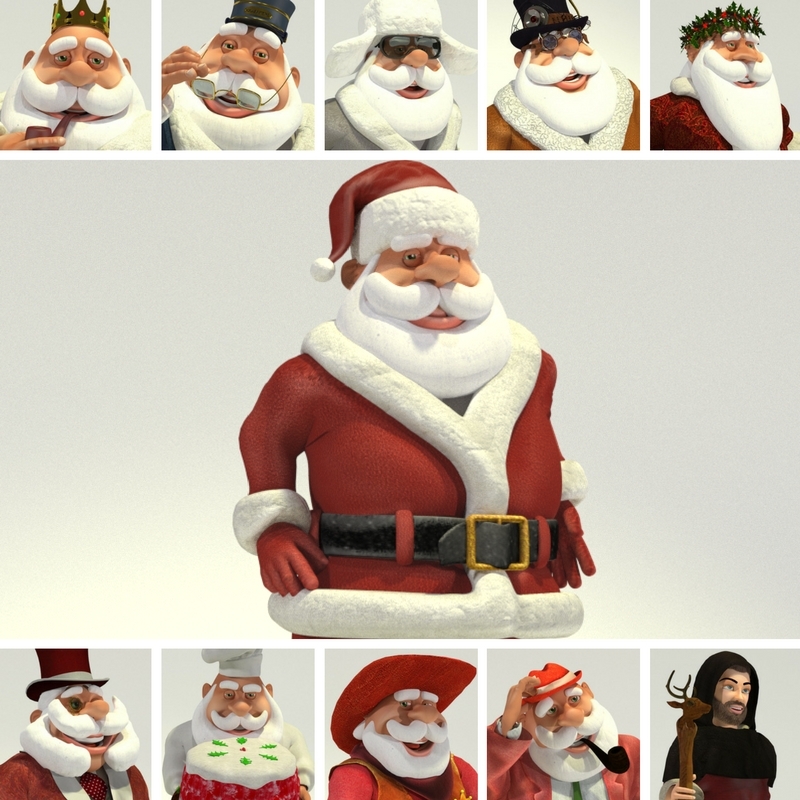 Meshbox Design and partner Mirye Software announce the immediate availability of the ultimate Christmas character compatible with Smith Micro Poser and DAZ 3D’s DAZ Studio – Toon Santa. Each year, Meshbox Design releases a new version of this popular character, based on a new theme. Toon Santa 16’s theme is Young Santa. Before he was Santa Claus, Kris Kringle (or Young Santa) had many adventures in his youth. Young Santa is a free adventurer who travels through the Many Worlds that Are, where he made new friends and learned much about himself along the way – and he also picked up a great deal of knowledge of the natural world, and a little magic that would help him later in life after he establishes himself at the North Pole. 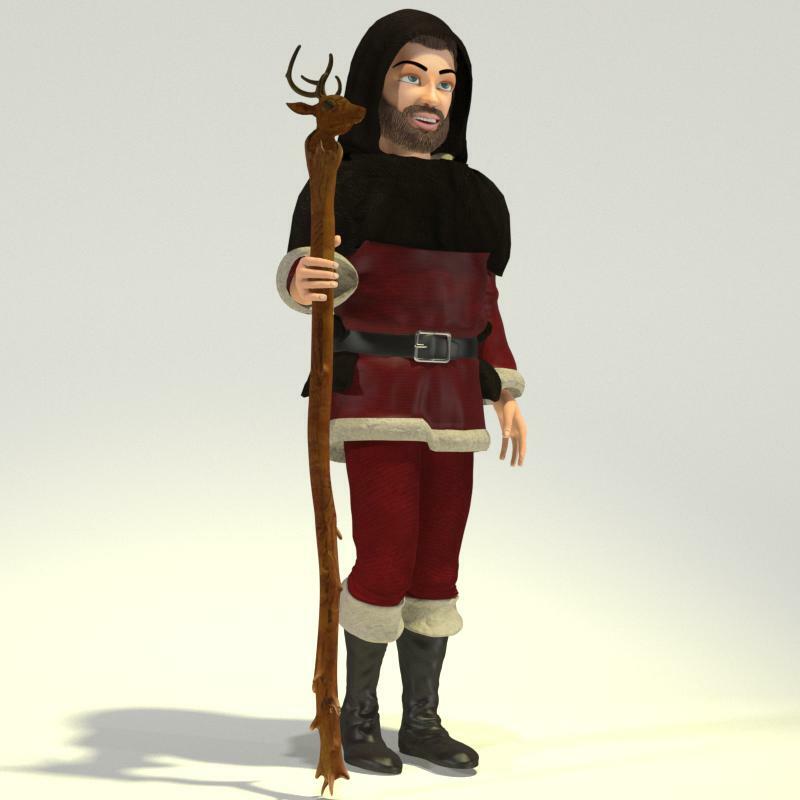 Young Santa is younger and thinner than his future self, so the base character utilizes the free 3D character Norm 3D, which you can download at no cost from the Mirye Software website. Young Santa includes special clothing, props and poses that reflect his adventurous nature. For best compatibility, we recommend Smith Micro Poser 11. You can order Young Santa or other single versions for $12.95 or the collection of all eleven Toon Santas either through Content Paradise or Mirye Software Store. Guess The Toon Santa Theme Contest Winners Announced! Each year, Meshbox Design has a special contest allowing visitors to guess the theme for the forthcoming Toon Santa. This year, several Meshbox Design partners also provided prizes for the Grand Prize Winner and also the best three guesses. Not every year there is a grand prize winner – but there is one for 2016! The grand prize winner will receive their choice of one of Smith Micro’s professional creative products, a Meshbox model set, a copy of Paradigma Software’s Valentina Studio Pro Universal, a two month Pro subscription to OneRender, and professional photography software SILKYPIX Developer Studio Pro7 – and the winner is Jamie Jones, with his guess of Young Santa. Congratulations to everyone who participated. The Toon Santa design team liked many answers, though to quote “Wait, nobody said Cthulhu Santa this year?” We are following up with all prize winners to arrange for their prizes.